REDUCED PRICE TO $38k. PRICED TO SELL NOW! This private 10-acre property boast 1250 ft of waterfront. 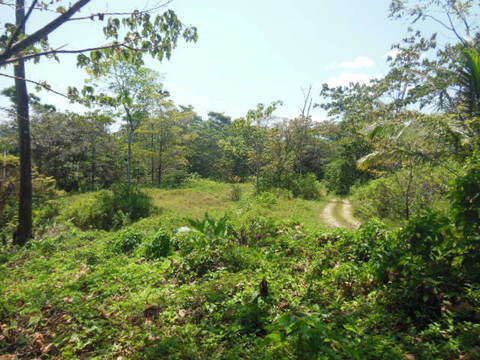 Located in Cuan Bay near Tierra Oscura, the land is flat from the shoreline back 120 ft, but suitable for building. The elevation is also a build site. There are calm waters in front, perfect for building over-the-water with a dock for your everyday runabout boat. There is also a coral reef in front for great snorkeling. The property has many hardwood trees and tropical plants and one is an ancient mango tree. There are walking trails through this peaceful property which also faces north where the prevailing winds blow. To the west there are a couple of mangrove islands that provide extra protection for the shoreline. 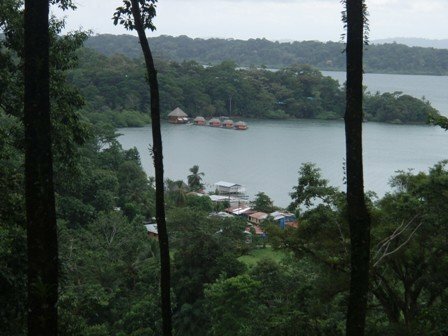 It is only a 20-minute boat ride to Bocas Town for the airport, shopping, restaurants, and other social activities. The mainland town of Almirante is the same distance. Ocean breezes, beautiful views of the bay, nearby islands, dolphins and other sea life are all there waiting for you. The property has been professionally maintained and is in a Panamanian corporation for easy transfer. A new small eco resort has just been built in the area. If you are looking for property that is quiet and private yet reasonably close to town, you may have just found it.